Dr Xue Li is a Professor in the School of Information Technology and Electrical Engineering at the University of Queensland (UQ) in Brisbane, Queensland, Australia. 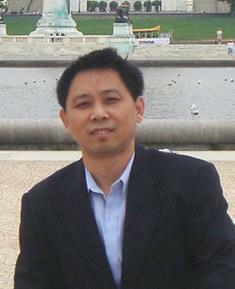 Dr Xue Li holds a Professor title in School of Medicine in Griffith University, Gold Coast, Queensland, Australia. His major areas of research interests and expertise include: Health Data Analytics, Data Mining, Social Computing, and Intelligent Web Information Systems. •	Founder and Chair of Steering Committee of ADMA (International Conferences on Advanced Data Mining and Applications) since 2004, Published with Springer Germany. •	President of QCF (Queensland Chinese Forum) for joint of 22 Chinese Associations in Queensland 2010-2011. •	President of CCCPCC (Chinese Community Crime Prevention Consultative Committee) with Queensland Police Department, Queensland Government, 2010 – 2011. •	President and Board member of Miaomiao Chinese School (2004-2006, operating on 4 campuses with more than 1000 students learning Chinese Language in Brisbane). •	Editor on Board, (2004-2007) International Journal of Information Systems and Management & Technology, Elsevier. •	Program Committee Chair for the 12th AusDM conference in 2014 (the premier Australasian Data Mining Conference). •	Publicity Chair of REID 1999 International Conference (in conjunction to ICDE Data Engineering). •	Program (PC) Chairs for five international conferences (ADMA05, ADMA06, FSKD06, AIDM05, ICISW05). •	Expert Reviewer for Australian ARC Funding Applications (since 2001). •	Member of ACS (Australian Computer Society), IEEE, ACM. Hongxu Chen, Hongzhi Yin, Xue Li, Meng Wang, Weitong Chen, Tong Chen (2017) People Opinion Topic Model: Opinion-based User Clustering in Social Networks, 2017 International World Wide Web Conference Committee (IW3C2), WWW 2017 Companion, April 3–7, 2017, Perth, Australia. Ling Chen, Xue Li, Quan Z. Sheng, Wen-Chih Peng, John Bennett, Hsiao-Yun Hu, and Nicole Huang (2016) Mining Health Examination Records - A Graph-based Approach, IEEE Transaction on Knowledge and Data Engineering (TKDE), accepted in April 2016. Sen Wang, Xiaojun Chang, Xue Li, Guodong Long, Lina Yao, Michael Q.Z. Sheng (2016) Diagnosis Code Assignment Using Sparsity-based Disease Correlation Embedding, IEEE Transaction on Knowledge and Data Engineering (TKDE), accepted in August 2016. Xianzhi Wang, Quan Z. Sheng, Lina Yao, Xue Li, Xiu Susie Fang, Xiaofei Xu, and Boualem Benatallah (2016) Truth Discovery via Exploiting Implications from Multi-Source Data, In Proc. of the 25th International Conference on Information and Knowledge Management (CIKM 2016 ). Indianapolis, USA, October 24-28, 2016. Xianzhi Wang, Quan Z. Sheng, Lina Yao, Xue Li, Xiu Susie Fang, Xiaofei Xu, and Boualem Benatallah (2016) Empowering Truth Discovery with Multi-Truth Prediction, In Proc. of the 25th International Conference on Information and Knowledge Management (CIKM 2016 ). Indianapolis, USA, October 24-28, 2016. Ling, Chen, Xue Li, et al, (2015) Personal health indexing based on medical examinations: a data mining approach, Journal of Decision Support Systems (DSS), Elsevier, Paper accepted on 1st November 2015 (ERA A*). Lina Yao, Quan Z. Sheng, Anne. H. H. Ngu, Byron Gao, Xue Li and Sen Wang. (2015) Multi-Label Classification via Learning a Unified Object-Label Graph with Sparse Representation. WWWJ (World Wide Web Journal), to appear 2015 (ERA A). Sen Wang, Zhigang Ma, Yi Yang, Xue Li, Chaoyi Pang, Alexander G. Hauptmann (2014) Semi-supervised Multiple Feature Analysis for Action Recognition. IEEE Transactions on Multimedia (TMM), Feb. 2014, pp289-299. Xin Zhao, Xue Li, Chaoyi Pang, Michael Sheng (2014) Structured Streaming Skeleton – a New Feature for Online Human Gesture Recognition. ACM Transactions on Multimedia Computing, Communications and Applications (TMCCA), accepted, (June 2014). Sayan Unankard, Xue Li, Mohamed A. Sharaf (2014) Emerging Event Detection in Social Networks with Location Sensitivity, WWWJ (World Wide Web Journal), Accepted, March 2014. Liu Q., Li X., Ye M., Ge S.S. and Du X. (2014) Drift compensation for electronic nose by semi-supervised domain adaption. IEEE Sensors Journal, 14 3: 657-665. Lina Yao, Quan Z Sheng, Anne H. Ngu, Helen Ashman, Xue Li (2014) Exploring Recommendations in Internet of Things, ACM SIGIR (Special Interest Group on Information Retrieval), Gold Coast, Australia, 6-11 July 2014. Pei Xu, Mao Ye, Xue Li, Qihe Liu, Yi Yang, Jian Ding (2014) Dynamic Background Learning through Deep Auto-encoder Networks, ACM Multi-Media, Orlando, FL, USA, 3-7 Nov 2014. Ling Chen, Xue Li, S. Wang, H.Y.Hu, N. Huang, Q.Z. Sheng, and M. Sharaf (2014) Mining Personal Health Index from Annual Geriatric Medical Examinations, IEEE ICDM (IEEE International Conference on Data Mining) Shenzhen, China 14-17 Dec. 2014. Lina Yao, Wenjie Ruan, Quan Z. Sheng, Xue Li, Nick Falkner (2014) Exploring Tag-free RFID-based Passive Localization and Tracking via Learning-based Probabilistic Approaches, ACM CIKM (Conference on Information and Knowledge Management), Shanghai, China, 3-7 Nov 2014. Chang, Xiaojun, Haoquan Shen, Sen Wang, Jiajun Liu, and Xue Li. (2014) Semi-supervised Feature Analysis for Multimedia Annotation by Mining Label Correlation, PAKDD: Advances in Knowledge Discovery and Data Mining, pp. 74-85. Springer International Publishing, 2014. Sayan Unankard, Xue Li, Mohamed A. Sharaf, Jiang Zhong, and Xueming Li. (2014) Predicting Elections from Social Networks based on Sub-Event Detection and Sentiment Analysis, In WISE, (Web Information System Engineering), Part II, LNCS8787, pp1-16, Thessaloniki, Greece, 12-14 October 2014. Vinita Nahar, Sanad Al-Maskari, Xue Li and Chaoyi Pang (2014) Semi-Supervised Learning for Detection of Cyberbullying in Social Networks, Australian Database Conference (ADC2014), 12-14 July 2014. Sanad Al-Maskari , Xue Li and Qihe Liu (2014) An Effective Approach to Handling Noise and Drift in Electronic Noses, Australian Database Conference (ADC2014), 12-14 July 2014. J. Natwichai, Xue Li, A. Kawtrkul (2013): Incremental processing and indexing for (k, e)-anonymisation, Int. J. Information and Computer Security, Vol. 5, No. 3, 2013, pp151-170. Xiangju Qin, Yang Zhang, Chen Li, Xue Li (2013): Learning from data streams with only positive and unlabeled data, Journal of Intelligent Information Systems, Springer, June 2013, Vol. 40 Issue 3, pp405-430. Vinita Nahar, Xue Li, Chaoyi Pang (2013): An Effective Approach for Cyberbullying Detection, Int. J. Communications in Information Science and Management Engineering (CISME), May 2013, Vol. 3 Iss. 5, pp 238-247. Mohammed Gollapalli, Xue Li, and Ian Wood (2013): Multi-Faceted Ontological Structures for Sharing Meaningful Data Facts, Journal of Data & Knowledge Engineering (DKE), Elsevier, 87(2013) pp405-424. Xu, Pei, Ye, Mao, Li, Xue, Pei, Lishen and Jiao, Pengwei (2013) Object detection using voting spaces trained by few samples. Optical Engineering, 52 9: 093105.1-093105.12. Zhao, Xin, Li, Xue, Pang, Chaoyi and Wang, Sen (2013) Human action recognition based on semi-supervised discriminant analysis with global constraint. Neurocomputing, 105: pp. 45-50, 2013. Mao, Songan, Ye, Mao, Li, Xue, Pang, Feng and Zhou, Jinglei (2013) Rapid vehicle logo region detection based on information theory. Computers and Electrical Engineering, 39 3: 863-872. 2013. Zhou, Jinglei, Ye, Mao, Ding, Jian, Wang, Haiyang and Li, Xue (2013) Clothing-to-words mapping using word separation method, Journal of Computers and Electrical Engineering, 39 2: 361-372. 2013. Mahinderjit-Singh, Manmeet, Li, Xue and Li, Zhanhuai (2013) Context-aware web services for security control and privacy preservation in an RFID supply chain. International Journal of Information Technology and Management, 12 1-2: 39-66. 2013. Vinita Nahar, Xue Li and Chaoyi Pang (2013): A Step Towards Combating Cyberbullying: Automated Detection, Proc. of No2Bullying Conference, Australian & New Zealand Mental Health Association, pp. 54-73, May 2013. Yao L., Sheng Q.Z., Gao B.J., Ngu A.H., and Li X. (2013): A Model for Discovering Correlations of Ubiquitous Things (2013) IEEE ICDM (International Conference on Data Mining), Dallas, USA Dec 2013, pp1253-1258. Zhao, P., Li, X., & Wang, K. (2013): Feature Extraction from Micro-blogs for Comparison of Products and Services. In Web Information Systems Engineering–WISE 2013, LNCS, Springer Berlin Heidelberg, pp. 82-91. Xin Zhao, Xue Li, Chaoyi Pang, Xiaofeng Zhu and Michael Sheng (2013): Online Human Gesture Recognition from Motion Data Streams, Proceedings ACM Multi-Media 2013, pp. 23-32. Wang, S., Xu, Z., Yang, Y., Li, X., Pang, C., & Haumptmann, A. G. (2013, October). Fall detection in multi-camera surveillance videos: experimentations and observations. In Proceedings of the 1st ACM international workshop on Multimedia indexing and information retrieval for healthcare, pp. 33-38. Sayan Unankard, Xue Li, Mohamed A. Sharaf (2013): Location-Based Emerging Event Detection in Social Networks. Best Student Paper, APWeb, 2013, Sydney. pp. 280-291. Ling Chen, Xue Li, and Jiawei Han (2013): MedRank: Discovering Influential Medical Treatments from Literature by Information Network Analysis, Proc. 2013 Australasian Database Conf. (ADC'13), Adelaide, South Australia, Jan. 2013. Zheng Liu, Xue Li, and Zhaoyang Dong (2012) Improvements on Data Security Algorithms for Streaming Multimedia – Enhancing Video Encryption and Watermarking Robustness and Performance, ISBN-13: 978-3-659-25964-7, ISBN-10 3659259640, Lap Lambert Academic Publishing, 240 pages. Sen Wang, Yi Yang, Zhigang Ma, Xue Li, Chaoyi Pang, Alex Hauptmann (2012). Action Recognition by Exploring the Data Distribution and Feature Correlation, IEEE Conference on Computer Vision and Pattern Recognition (CVPR), 2012. Vinita Nahar, Sayan Unankard, Xue Li, Chaoyi Pang (2012): Sentiment Analysis for Effective Detection of Cyber Bullying. APWeb 2012: 767-774. M. Mahinderjit- Singh, X. Li, Z. Li (2011), Security Control and Privacy Preservation in RFID enabled Wine Supply Chain, Chapter 14 ,in Designing and Deploying RFID Applications, ISBN 978-953-307-265-4, edited by Cristina Turcu, InTech, pp221-250. M. Mahinderjit- Singh, X. Li, Z. Li (2011), A Cost-based Model for Risk Management in RFID-Enabled Supply Chain Applications", Chapter 9, in Supply Chain Management, Edited by PengZhong Li, ISBN 978-953-307-184-8, pp201-236. Yang B.G., Zhang Y., Li X. (2011) Classifying Text Streams by Keywords using Classifier Ensemble, Journal of Data & Knowledge Engineering (DKE), Elsevier, May 2011. Xue Li, Jing Liu, Quan Z. Sheng, Sherali Zeadally, and Weicai Zhong. (2011) TMS-RFID: Temporal Management of Large-Scale RFID Applications, International Journal of Information Systems Frontiers, Springer, Vol. 13 No. 4 pp481-500. 2011. J. Natwichai, X. Sun, X. Li (2011) Associative classification rules hiding for privacy preservation, International Journal of Intelligent Information and Database Systems (IJIDS), 70, 2011, pp. 775-793. DOI: 10.1016/j.datak.2011.05.002. M. Mahinderjit- Singh, X. Li, Z. Li (2011), Security and Privacy Protection in RFID-enabled Supply Chain Management, International Journal of Radio Frequency Identification Technology and Applications, April 2011. M. Mahinderjit- Singh, X. Li, Z. Li (2011), Context-Aware Web Services for Security Control and Privacy Preservation in an RFID Supply Chain, International Journal of Information Technology and Management (IJITM), Aug 2011. Shirui Pan,Yang Zhang, Xue Li (2011). Dynamic Classifier Ensemble for Positive Unlabelled Text Stream Classification, International Journal of Knowledge and Information Systems, 2011. Xue Li and Ling Chen (2012) Recommendations based on Network Analysis, Invited Speech at IEEE International Conference on Advanced Computer Science and Information Systems 2011 (ICACSIS’11), Jakarta, pp9-16. Jiazhen He, Yang Zhang, Xue Li and Yong Wang (2011). Bayesian Classifiers for Positive Unlabelled Learning. 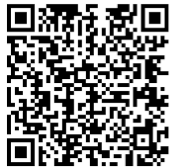 The 12th International Conference on Web-Age Information Management (WAIM'11), 2011.
ohn P.T. Mo, X. Li (2010), Event Management of RFID Data Streams for Fast Moving Consumer Goods Supply Chains, Book Chapter in Unique Radio Innovation for the 21st Century: Building Scalable and Global RFID Networks, Damith Ranasinghe, Michael Sheng and Sherali Zeadally (Eds). pp. 89-110, 2010. J. Zhong and X. Li (2010), Unified Collaborative Filtering Model based on Combination of Latent Features, International Journal of Expert Systems with Applications, Elsevier, Volume 37, Issue 8, August 2010, Pages 5666-5672. Manmeet Mahinderjit- Singh and Xue Li (2010): Trust in RFID-Enabled Supply-Chain Management, in International Journal of Security and Networks (IJSN), 5, 2/3 (Mar. 2010), 96-105. DOI= http://dx.doi.org/10.1504/IJSN.2010.032208. J. He, Y. Zhang, X. Li, Y. Wang (2010), Naive Bayes Classifier for Positive Unlabelled Learning with Uncertainty, SIAM International Conference on Data Mining (SDM10), April 29-May 1, 2010, Columbus, Ohio, USA, pp. 361-372. Pan S., Y. Zhang, X. Li, (2010), Classifier Ensemble for Uncertain Data Stream Classification, Pacific-Asia Conference on Knowledge Discovery and Data Mining, (PAKDD'10), 21-24 June, 2010, Hyderabad, Indi, Lecture Notes in Artificial Intelligence (LNAI) 6118, pp. 488-495. X. Qin, Y. Zhang, X.Li, Y Wang (2010), Associative Classifier for Uncertain Data. Proceedings of Int Conference on Web-Age Information Management (WAIM'10), Lecture Notes in Computer Science (LNAI) 6184, pp. 692-703. Ronghuai Huang, Qiang Yang, Jian Pei, João Gama, Xiaofeng Meng, Xue Li (2009): Advanced Data Mining and Applications, 5th International Conference, ADMA 2009, Beijing, China, August 17-19, 2009. LNAI 5678 Springer 2009. Dingyi Chen, Xue Li, Zhaoyang Dong, and Xia Chen (2009), Chapter VIII: Incremental Learning for Interactive E-Mail Filtering, Agent Technologies and Web Engineering: Applications and Systems, edited by Ghazi Alkhatib and David Rine, IGI Publishing, pp. 134-152. John P.T. Mo, Quan Z. Sheng, Xue Li, Sherali Zeadally (2009), RFID Infrastructure Design: A Case Study of Two Australian National RFID Projects, Internet Computing (IEEE), Jan/Feb Issue 2009, pp.14-21. Jing Liu, Xue Li, Weicai Zhong (2009), Ambiguous decision trees for mining concept-drifting data streams, Pattern Recognition Letters 30 (2009), ELSEVIER, 1347–1355. Mahinderjit-Singh, M.; Xue Li; (2009) Computational model for trust management in RFID supply chains," Mobile Adhoc and Sensor Systems, 2009. MASS '09. IEEE 6th International Conference on , vol., no., pp.734-740, 12-15 Oct. 2009. Manmeet-Mahinderjit Singh and Xue Li (2009) Trust Framework for RFID Tracking in Supply Chain Management, Proc of The 3rd International Workshop on RFID Technology - Concepts, Applications, Challenges (IWRT 2009), Milan, Italy, 6-7 May 2009. Zi Huang, Heng Tao Shen, Dawei Song, Xue Li, Stefan M. Rüger: (2009): Dimension-Specific Search for Multimedia Retrieval. DASFAA 2009: 693-698. Quan Z. Sheng, Xue Li, Sherali Zeadally (2008), Enabling Next-Generation RFID Applications: Solutions and Challenges, Computer (IEEE) , 41(9): 22-29, September 2008. Liu J., Zhong W., Jiao L., Li X. (2008), Moving Block Sequence and Organizational Evolutionary Algorithm for General Floorplanning With Arbitrarily Shaped Rectilinear Blocks, IEEE Transactions on Evolutionary Computation, Vol 12, No 5, Oct. 2008, pp630-646. 74. Yang Zhang, Xue Li, M. Orlowska, (2008) One-class Classification of Text Streams with Concept Drift, 2008 IEEE International Conference on Data Mining (ICDM08) Workshops, pp116-125. Natwichai J. Sun X., Li X. (2008) Data Reduction Approach for Sensitive Associative Classification Rule Hiding, Proc 19th conference on Australasian database - Volume 75 (ADC2008), Wollongong, Australia, ACM International Conference Proceeding Series; Vol. 313, pp23-30. Nguyen S.N., Orlowska M.E., & Li X. (2008) Graph Mining based on a Data Partitioning Approach, Proc 19th conference on Australasian database - Volume 75 (ADC2008), Wollongong, Australia, ACM International Conference Proceeding Series; Vol. 313, pp31-37. Natwichai J. Sun X., Li X. (2008) A Heuristic Data Reduction Approach for Associative Classification Rule Hiding, Tenth Pacific Rim International Conference on Artificial Intelligence (PRICAI-08), 15-18 Dec 2008, Vietnam, Springer LNAI, 2008. C. Tang, C.X. Ling, X.F. Zhou, N. Cercone, and X. Li (2008) Proceedings of Advanced Data Mining and Applications, LNAI 5139, Springer, Fourth International Conference, ADMA 2008, Chengdu China, 8-10 October 2008. Li X., Barajas J.M., and Ding Y. (2007), Collaborative Filtering on Streaming Data with Interest-Drifting, International Journal of Intelligent Data Analysis (IOS Press), Volume 11, Number 1, 2007, pp75-87. Li X. and Huang W. (2007), Design a Knowledge-based System to Automatically Assess Commercial Websites, International Journal of Information Technology and Decision Making Vol.6, Issue 1, (2007) pp43-59, http://www.worldscinet.com/ijitdm/06/0601/S02196220070601.html. Zhao J.H., Dong Z.Y., Li X., & Wong K.P. (2007) A Framework for Electricity Price Spike Analysis with Advanced Data Mining Methods, IEEE Transactions on Power Systems, Volume 22 Number 1, Feb., 2007, pp376-385. Zhao J.H., Dong Z.Y., Li X. (2007) An improved Naive Bayesian classifier with advanced discretisation method, Int. J. Intelligent Systems Technologies and Applications, Vol. 3, Nos. 3/4, 2007, pp241-256. Zhao J.H., Dong Z.Y. and Li X. (2007) Electricity Market Price Spike Forecasting and Decision Making, Journal of IET Generation, Transmission & Distribution, 1 (4): 647-654 JUL 2007. Ye M. and Li X. (2007) An Efficient Measure of Signal Temporal Predictability for Blind Source Separation, Neural Processing Letters, Vol.26, No.1, pp. 57-68. 2007. Alhajj, R.; Gao, H.; Li, X.; Li, J.; Zaiane, O.R. (Eds.) (2007) Advanced Data Mining and Applications, Third International Conference, ADMA 2007, Harbin, China, August 6-8, 2007 Proceedings Lecture Notes in Artificial Intelligence Vol. 4632, Springer. Sun X.Z., Chang M., Li X., and Orlowska M. (2007) Discovering correlated items in data streams, proceedings of PAKDD’07, Lecture Notes in Artificial Intelligence, (LNAI 4426), Springer Verlag, 2007, pp260-271. Zhao J.H., Li X. and Dong Z.Y. (2007) Online Rare Events Detection, Proceedings of PAKDD’07, Lecture Notes in Artificial Intelligence (LNAI4426), Springer Verlag, 2007, pp1114-1121. Derakhshan R. Orlowska M., and Li X. (2007) RFID Data Management: Challenges and Opportunities. IEEE First International Conference on RFID, Dallas, Texas, USA, 26-28 March 2007, pp175-182. Shanle Ma, Xue Li, Yi Ding, & Maria Orlowska (2007) A Recommender System with Interest-Drifting, International Conference on Web Information Systems Engineering (WISE07), France, 3-6 Dec 2007, Lecture Notes in Computer Science, (LNCS 4831), Springer Verlag, 2007, pp633-642. Mao Ye, Zengan Gao, Xue Li, Blind Separation of Positive Signals by Using Genetic Algorithm, ISNN2007, LNCS, Lecture Notes in Computer Science, Vol. 4493. pp.741-749, 2007. Wang Q.Q., Dong Z.Y., Li X., and Zhao J.H. (2007) An Effective Approach to Predicting Electricity Market Price Spikes, Proceedings IEEE PES General Meeting, June 24-28 2007, Tampa, Florida, USA. Ye M., Fan X.Q. & Li X. (2006) A Class of Self-Stabilizing MCA Learning Algorithms, IEEE Transactions on Neural Networks, November 2006, Volume 17 Number 6, pp1634-1638. Chen D.Y. and Li X. (2006), Incremental Learning for Interactive Email Filtering, International Journal of Information Technology and Web Engineering (IJITWE), 1(2), 60-78, April-June 2006. Chen D.Y., Li, X, Dong Z. Y, Chen, X. (2006) Fitness Assessment of Document Model, International Journal of Systems Science, Vol. 37, Taylor & Francis, pp.893 – 903. Hu Q. and Li, X. (2006) Special Issue for 2004 Annual Conference of IS/IT Issues in Asia-Pacific, Guest Editors, Journal of Global Information Management (JGIM), Vol. 14 No. 1, 2006. Huang, W., Le, T.W., Li, X. and Gandha, S. (2006), Categorizing Web Features and Functions to Evaluate Commercial Websites: An Assessment Framework and an Empirical Investigation of Australian Companies, International Journal of Industrial Management and Data Systems, 2006, pp523-539. Li X., Zhang S.C., and Wang S.L. (2006), Advances in Data Mining Applications, Special Issue of IJDWM (International Journal of Data Warehouse and Mining), Guest Editors, 2(3), July 2006. Dong, Z.Y. Li, X., and Wang, S.L. (2006) Advances in Data Mining and Its Applications, Special Issue of IJSS (International Journal of Systems Science), Guest Editors, 12(3), July 2006. Dong ZY, Li X, Wang SL(2006) Special issue on advances in data mining and its applications International Journal Of Systems Science 37 (13): 865-866 Oct 20 2006. Li X., Zaiane O., and Li Z.H. (2006) Advanced Data Mining and Applications (ADMA 2006), Lecture Notes in Artificial Intelligence (LNAI 4093), Editors, Springer 2006. Wang L. Jiao. L, Shi G. Li X. Liu J. (2006) Fuzzy Systems and Knowledge Discovery (FSKD2006), Lecture Notes in Artificial Intelligence (LNAI 4223), Editors, Springer 2006.
an X., D.W. Song and Li X. (2006) Concept-based Document Readability in Domain Specific Information Retrieval, Proceedings of ACM CIKM 2006, (15th Conference on Information and Knowledge Management), Washington DC, USA, 6-11 Nov. 2006. Sun X.Z., Orlowska M., and Li X. (2006) Finding Frequent Itemsets in Data Streams, Sixth SIAM Data Mining Conference - 9th Workshop on High Performance and Distributed Mining, Washington DC, USA. 20-23 April, 2006. Ding Y. and Li, X. Orlowska M. (2006), Recency-Based Collaborative Filtering, Australian Computer Science Communications Vol., 28 No 2, Australasian Database Conference 2006 (ADC06), Tasmania, Jan 2006, ACM Digital Library, pp. 99-107. Yan X., Li X. and D.W. Song (2006), Document Generality: Its Computation for Ranking, Australian Computer Science Communications Vol., 28 No 2, Australasian Database Conference 2006 (ADC06), Tasmania, Jan 2006, ACM Digital Library, pp. 109-118. Natwichai J., Li X., and Orlowska M. (2006), A Reconstruction-based Algorithm for Classification Rules Hiding”, Australian Computer Science Communications Vol., 28 No 2, Australasian Database Conference 2006 (ADC06), Tasmania, Jan 2006, ACM Digital Library, pp. 49-58. Bray, J. , Verma, B., Li X. and He, W., (2006), A Neural Network based Technique for Automatic Classification of Road Cracks, IEEE International Joint Conference on Neural Networks, (IJCNN06), Vancouver BC, Canada, July 16-21, 2006, pp. 907-912. Zhao J.H., Dong Z.Y., and Li X. (2006), Electricity Price Forecasting with Effective Feature Pre-processing, Proceedings of IEEE 2006 PES General Meeting Montreal, Quebec, June 18-22, Canada. Ali M., Dong Z.Y., and Li X. (2006), RSA-Grid: A Grid Computing Based Framework for Power System Reliability and Security Analysis, Proceedings of IEEE 2006 PES General Meeting Montreal, Quebec, June 18-22, Canada. Xu Z., Ali M., Dong Z.Y., and Li X. (2006), A Novel Grid Computing Approach for Probabilistic Small Signal Analysis, Proceedings of IEEE 2006 PES General Meeting Montreal, Quebec, June 18-22, Canada. Ye M., Li X., Yang C., and Gao Z. (2006) Convergence Analysis of a Discrete-Time Single-Unit Gradient ICA Algorithm, Proceedings Part I of ISNN 2006, Lecture Notes in Computer Science Volume 3971, (LNCS 3971), Springer Verlag, 2006, pp. 1140-1146. Lu X., Z.Y. Dong, and Li X. (2005) Electricity Market Price Spike Forecast with Data Mining Techniques, International Journal of Electric Power Systems Research, Vol 73, Issue 1, ELSEVIER, Oxford, UK. pp19-29. Ding Y. and Li, X. (2005) “Time Weight Collaborative Filtering”, Proceedings of ACM CIKM 2005, (14th Conference on Information and Knowledge Management), Bremen, Germany, pp485-492. i X., S. Wang, and Z. Dong (2005) Advanced Data Mining and Applications (ADMA 2005), Lecture Notes in Artificial Intelligence (LNAI 3584), Editors, Springer 2005. Chen D. Y., Li X. Dong Z.Y., and Chen X. (2005) Effectiveness of Document Representation for Classification, DaWaK 2005, (7th International Conference on Data Warehousing and Knowledge Discovery), Copenhagen, Denmark, Lecture Notes in Computer Science (LNCS 3589), Springer Verlag, pp368-377. Natwichai J., Li X., and Orlowska M. (2005) Hiding Classification Rules for Data Sharing with Privacy Preservation, DaWaK 2005, (7th International Conference on Data Warehousing and Knowledge Discovery), Copenhagen, Denmark, Lecture Notes in Computer Science (LNCS 3589), Springer Verlag, pp468-477. Chen, D.Y., Li, X., Dong, Z.Y. and Chen X. (2005) Determining the Fitness of a Document Model by Using Conflict Instances. In: Australasian Database Conference (ADC), Newcastle, 31 Jan. – 3 Feb. 2005, Australian Computer Society Inc. pp. 125-133. Liu Z., Li X., and Dong Z. Y. (2005) Direct Fingerprinting on Multicasting Compressed Video, IEEE 11th International Conference on Multimedia Modelling, (MMM05), Melbourne, Australia, 12 - 14 Jan 2005, pp76-83. hao J.H., Dong Z.Y., Li X., K.P. Wong, (2005) A General Method for Electricity Market Price Spike Analysis", IEEE Power Engineering Society General Meeting, 2005, 12-16 June 2005, San Francisco, California, USA. X., Orlowska M., and Li X. (2005) Finding Temporal Features of Event-Oriented Patterns, PAKDD 2005, Vietnam, May 2005, Lecture Notes in Artificial Intelligence, (LNAI 3518) Springer Verlag, 2005. pp778-784. Ali M, Li X., and Dong Z.Y. (2005) Efficient Spatial Clustering Algorithm Using Binary Tree, IDEAL 2005 (Sixth International Conference on Data Engineering and Automated Learning), Brisbane, July 2005, LNCS 3578 (Lecture Notes in Computer Science), Springer Verlag, pp294 -301. Ali M., Dong Z.Y, Li X. (2005): “Applications of Grid Computing in Power Systems”, Proceedings of Australiasian Universities Power Engineering Conference, (AUPEC 2005). Ghosh, R., Verma, B., and Li, X. (2005): Editors, Proceedings of Workshop on Learning Algorithms for Pattern Recognition in Conjunction with the 18th Australian Joint Conference on Artificial Intelligence (AI’05), ISBN: 1-86365-715-0, University of Technology, Sydney, Australia. Chen, X., Orlowska, M. and Li X. (2004) A New Framework for Privacy Preserving Data Sharing, Proceedings of IEEE 4th International Conference on Data Mining ICDM04 Workshop: Privacy and Security Aspects of Data Mining, Brighton, UK, 1-4 Nov. 2004, pp47-56. Liu Z., Li X. and Z.Y. Dong (2004) A Lightweight Encryption Algorithm for Mobile Online Multimedia Devices, Web Information System Engineering (WISE04), Lecture Notes in Computer Science (LNCS 3306), Springer Verlag, 2004. pp 653-658. Chen D.Y, Dong Z.Y, Li X. and Smith P. (2004) Interactive Email Filtering - Learning From Misclassified Examples, Proceedings of IEEE Conference on Cybernetics and Intelligent Systems, (IEEE CIS04), Singapore, 2004. Sorbello M. J., Dong Z.Y., and Li X. (2004) On The Development of an Electricity Market Simulator, Australasian Universities Power Engineering Conference, AUPEC04, Brisbane, Australia, 26–29 September, 2004. Liu Z, Li X. and Dong Z. (2004) Enhancing Security of Frequency Domain Video Encryption, Proceedings of ACM Multimedia (ACM MM 2004), New York, USA, pp.304-307. Li X., (2004) An Overview of Intelligent Business Portals, Encyclopaedia of Information Science and Technology, Mehdi Khosrow-Pour (editor in Chief), Idea Publishing Group, 2004. Vol I-V, pp1583-1590. Liu Z, Li, X. and Dong, Z. (2004) A Sensor-based Multimedia Authentication System, Proceedings of ACM Security Workshop, Magdeburg, Germany September 20-21, 2004. Li X., (2004) Reflective Web Interface Agent, Proc. 6th APWeb’04, April, Hangzhou, China, in Lecture Notes in Computer Science (LNCS) 3007, Springer Verlag, 2004, pp146 - 151. Yan X., Li, X. and D.W., Song (2004) A Correlation Analysis on LSA and HAL Semantic Space Models, International Symposium on Computational and Information Sciences (CIS'04), Lecture Notes in Computer Science (LNCS 3314), Springer Verlag, 2004, pp710-717. Natwichai, J. and Li, X. (2004). Knowledge Maintenance on Data Streams with Concept Drifting, the International Symposium on Computational and Information Sciences (CIS'04), Lecture Notes in Computer Science (LNCS 3314), Springer Verlag, 2004, pp705-710. Chen D.Y. and Li, X. (2004), PLD: A Distillation Algorithm for Misclassified Documents, WAIM’04, Lecture Notes in Computer Science (LNCS 3129), Dalian, China, Springer Verlag, 2004. pp. 499-508. Liu Z. and Li X. (2004), Multimedia Authentication with Sensor-based Watermarking, IEEE International Conference of Multimedia and Exhibitions, Taiwan, 2004. Sun X.Z., M. Orlowska and Li X. (2004), Extending Negative Event-Oriented Patterns in Long Temporal Sequences, Workshop at 8th PAKDD’04, Sydney, Springer Verlag, 2004. Sun X.Z., M. Orlowska and Li X. (2004) Finding both Positive and Negative Event-Oriented Patterns in Long Temporal Sequences, Proc. 8th PAKDD’04, Sydney, (LNAI 3056), Springer Verlag, 2004, pp212-221. Liu Z. and Li X. (2004) Motion Vector Encryption in Multimedia Streaming, IEEE 10th International Conference on Multimedia Modelling, (MMM04), Brisbane, Australia, 5 - 7 Jan 2004, pp. 64 - 71. Z.Y. Dong, Li X., Z. Xu and KL. Teo (2003) Weather Dependent Electricity Market Forecasting With Neural Network, Wavelet And Data Mining Techniques, Proceedings of Australiasian Universities Power Engineering Conference, (AUPEC’2003), Christchurch, 28 Sep.- 1 Oct 2003, New Zealand. Sun X.Z., M. Orlowska and X. Li (2003) Introducing Uncertainty into Pattern Discovery in Temporal Event Sequences, Proceedings of IEEE International Conference on Data Mining (ICDM03), 19-22 Nov., 2003, Florida, USA. Li, X., W. He, Z.Y. Dong, B. Verma (2003) Real Time Web Vehicle Classifier, Proceedings of the 7th International Symposium on DSP for Communication Systems (DSPCS03), Gold Coast, 8-11 Dec. 2003, pp.428 -434. Li, X., (2003) Fuzzy Logic in Web Data Mining for Website Assessment, International Journal of Computational Intelligence and Applications (IJCIA), Imperial College & World Science Press, Vol. 1, No 1, 2003 pp. 119-133. Zakos J., Verma B., Li. X., and Kulkarni S. (2003). Intelligent Encoding of Concepts in Web Document Retrieval, IEEE 5th International Conference on Computational Intelligence and Multimedia Applications, ICCIMA’03, China, pp72-77. Li, X. (2003) Intelligent Business Portals, Chapter 3 in Architecture Issues in E-Commerce, Idea Group Publishing, 2003, pp. 41-51. Pek, E.H., Li X. and Liu Y.Z. (2003) Web Wrapper Validation, Proceedings of Asia Pacific Web Conference, Xi’An 2003, in Lecture Notes in Computer Science (LNCS 2642), Springer Verlag, pp388-343. Li, X., (2003) What is Accidental Complexity in online learning? White Paper on Australian Government e-Learning Website: Australian Flexible Learning Framework. Li, X. and Chen P. (2002) Automatic Assessment of e-Businesses, Proceedings International Conference on e-Businesses, Beijing, May, 2002. pp. 294-299. Li, X. and I.P. Foo (2002) Intelligent Business Portals: Availability vs Applicability, Proceedings of International Conference on e-Businesses, Beijing, May, 2002. pp. 463- 468. Li, X. and Huang, W. (2002) What Web Features and Functions Are Used by Australian Corporations in their Websites? - A Conceptual Framework and An Empirical Investigation", Proceedings of IRMA (Information Retrieval and Management Association) Conference, Seattle USA, May 2002. Idea Publishing, pp. 270-277. Li, X. (2001) Building Intelligent Business Portals, Proceedings of 4th Asia Pacific Web Conference, Changsha, China, Nov. 2001. pp. 103-107. Li, X. and Huang, W. (2001) On the Assessment of Commercial Web Site – An Expert System Approach, Proceedings of 12th Australian Conference on Information Systems, (ACIS 2001), Coffs Harbour, Dec. 2001, pp369-377. The Top 50 of the most powerful people in Australia on Big Data by the Financial Review - the Power Issue 2015. Microsoft StartUp Q Award 2014, Winner. Best use of Open Data - Premier’s Awards for Open Data 2014, Winner. WISE 2012 Challenge championship on Mining Track. Best Demo Paper, DASFAA 2015. ARC Discovery Project (2018 - 2021): Development of New Aluminium Alloys through Big Data Analytics. ARC Discovery Project (2016 - 2018): Opinion Analysis on Objects in Social Networks. ARC Linkage Project (2017 - 2019): Fusion of Digital Microscopy and Plain Text Reports for Automated Analysis. ARC Linkage Project (2015 - 2017): Interaction Mining for Cyberbullying Detection on Social Networks. ARC Discovery Project (2014 – 2016): Effective Recommendations based on Multi-Source Data. ARC Discovery Project (2013 - 2015): Learning Human Activities through Low Cost, Unobtrusive RFID Technology. ARC Discovery Project (2005 - 2007): Mining Distributed High-Speed Time-Variant Data Streams. The University of Queensland, Vice Chancellor Strategic Funding (2016 - 2017, $400K): A Big Data Showcase - Social Media Analysis for Public Well-Being (Health and Security). The University of Queensland, Vice Chancellor Strategic Funding (2015 - 2016, $200K): UQ Image. The University of Queensland, Teaching and Learning Project (2011-2012): Cloud Computing Infrastructure. He has also supervised numerous honours and postgraduates projects.